Visas are available upon arrival at the airport and they are valid for one (1) month stay in the UAE. If you plan to stay longer, you can request more time from the immigration officer at the airport or contact the local immigration office in the UAE and request an extension.Emirates for up to 30 days. Original Passport ( Not a travel Document ), should not expire within six (6) months from the expected date of arrival in the UAE. If you are a citizen of one of the following countries: Andorra , Australia, Austria, Belgium, Brunei, Canada, Denmark, Finland, France, Germany, Greece, Hong Kong, Iceland, Ireland, Italy, Japan, Liechtenstein, Luxembourg, Malaysia, Monaco , New Zealand, Norway, Portugal, San Marino, Singapore, South Korea, Spain, Sweden, Switzerland, The Netherlands, United Kingdom and Northern Ireland (Except the British ovrseas citizens) and Vatican. Visas are available upon arrival to the UAE airports, This includes those who hold visas in their passports or entry stamps from other countries and visa is valid for one (1) month stay in the UAE. If you plan to stay longer, you may contact the local immigration office while you are in the UAE and request an extension. Visit Visa sponsored by (The private sector, friends, family and relatives) You need to request for the visa Through Your Sponsor (Host) by sending a copy of your passport ( Not a travel Document ) and a copy of your immigration status in the USA (e.g., green card, J visa, F1 visa, etc.) to your sponsor (host) to process your visa from the local immigration office in UAE. This process will takes about four (4) working days. then, make sure to receive a copy of your visa by fax or Email from the sponsor (host) before your departure. Original visas will be collected at the airport in the United Arab Emirates on your arrival. Tourist Visa The Embassy does not issue Tourist Visa, Hotels in the UAE can sponsor their clients and apply for their visas to come to UAE but be sure to get a copy of this visa from the hotel before traveling to the United Arab Emirates. Transit Visa ( 96 hours ) The Embassy does not issue Transit Visa, You should contact the airline company that will fly you to the UAE and enquire from them about the possibility of traveling to the UAE without prior visa. 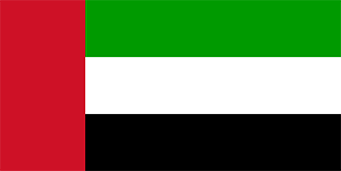 Two (2) fully completed and signed United Arab Emirates Application All applications must be typed. The Particulars of Sponsor / Host in the UAE (UAE Government sectors) Residence Address in UAE ( e.g., Hotel, Family or friend’s house, etc.) Your sponsor in the United Arab Emirates must send a telex or fax to the United Arab Emirates Embassy in Washington, DC stating the name of the applicant, confirming the business trip company address and type of business. Short stay visa (Single Entry): $150 non refundable (Valid for two (2) months, Maximum stay is 30 days). Long stay visa (Single Entry): $300 non refundable (Valid for two (2) months, Maximum stay is 90 days). Multiple visa: $600 non refundable (Valid for six (6) months from the date of issue. Maximum stay is fourteen (14) days for each entry). For business travelers, a multiple entry visa valid for up to 10 years is available. Transit visas may be issued at the airport valid for tourist or business stay of thirty days.